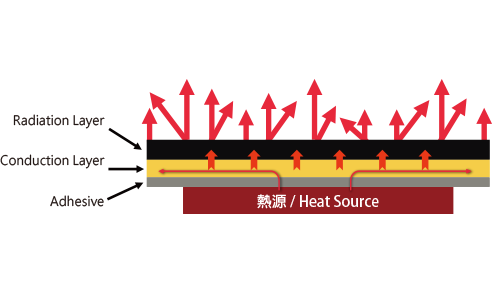 Heat source goes through conduction layer to spread and radiating out by radiation layer. 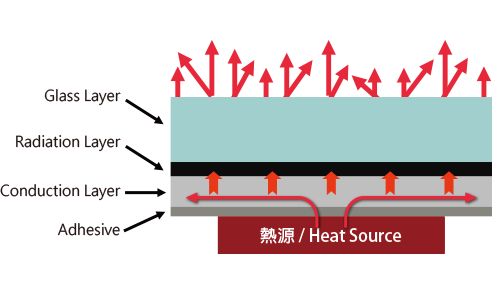 The heat from the heat source is transferred to the graphite layer to produce lateral heat transfer and to allow the heat generatd to spread rapidly. 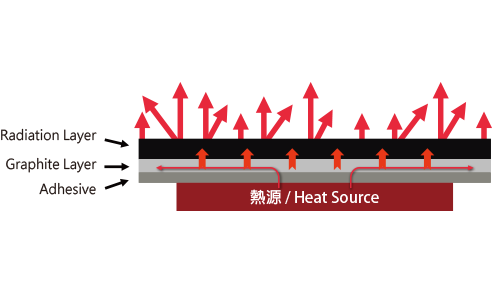 The heat source for the heat conduction via the diffusion layer by layer thermal radiation heat radiated through the glass. 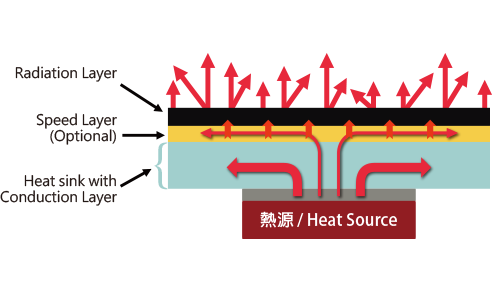 Heat source goes through conduction layer and heat sink to spread and radiating out by radiation layer. 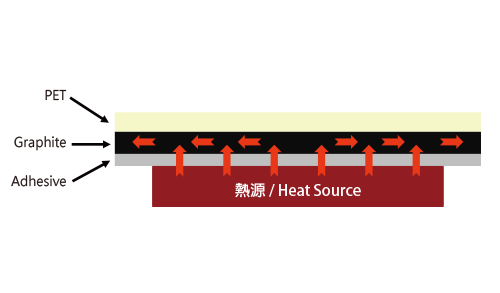 The heat of the heat source is rapidly diffused through the graphite conducting layer , and the heat is radiated through the heat radiating layer. 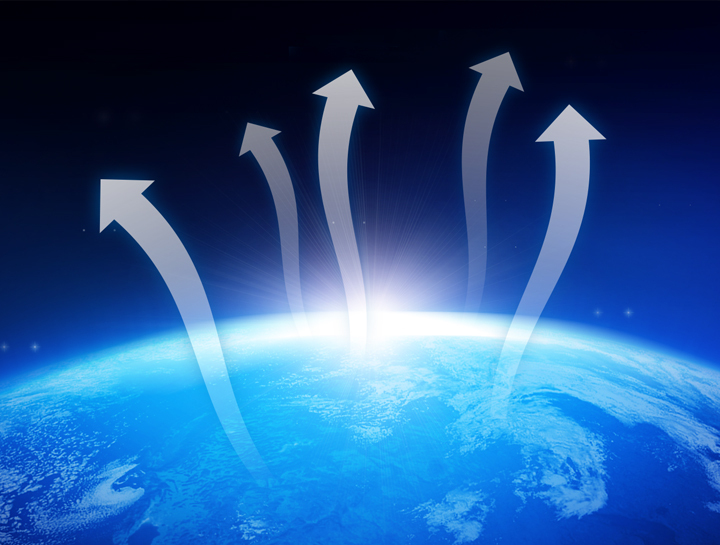 Electronic products are continually progressing, function and processing speed are exponential growth, and more powerful features putting in the smaller space. The result is difficult to solve the heat problem plagued all the product engineers, mechanical engineers, thermal engineers. So that the need to pay a very expensive price, and even sacrifice the product of the beautiful or practical design, or endure the fan noise, huge volume, heavy heat dissipation material and so on. Amazing Cool Technology understand this demand, committed to the application of graphene development, application of advanced technology to graphene and nano-carbon ball, boron nitride, diamond powder and other effective combination of development of environmental protection, energy , Low cost, high radiation performance of the composite heat radiation materials, ultra-thin heat dissipation material with flexible, high temperature, high humidity and other characteristics, can be used in mobile phones, flat panel, TV, network products,set top box, game Machine, LED lights and other products, can be extremely effective in a limited space to solve the heat problem! At present, Amazing Cool Technology in Taiwan, Shenzhen and other regions are equipped with operational and technical service center, the fastest to give customers in different regions of the cooling application solution support. 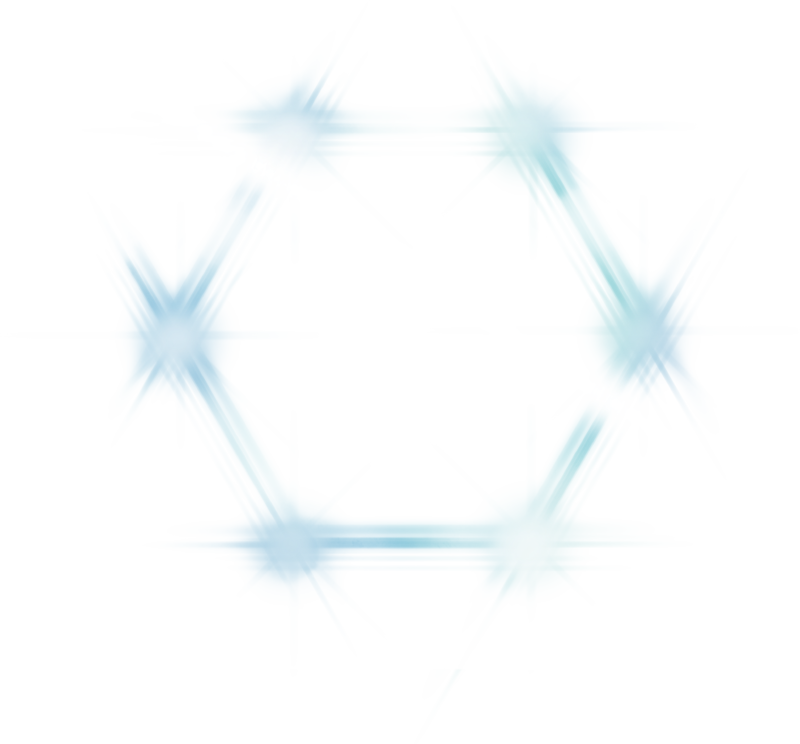 © 2017 ::: Welcome to Amazing Cool Technology ::: . All Rights Reserved.